Ever since Seth Godin turned the marketing world on its head with the concept of ‘permission marketing’, the idea of attracting customer’s attention by developing a strong relationship and offering genuine value has gained momentum to the point where it now makes up the foundation of a web business’s marketing strategy. The great thing about using inbound marketing as your primary marketing strategy is that it’s win-win – your customers win by receiving quality information, added value and entertainment, while your business wins by keeping costs down, building up a reputation organically and continually expanding the amount of magnetic content on your site. Of course, although you can keep costs down, you have to put in twice as much effort to make sure that your communication really stands out from the pack, and that’s why today we’ll be looking at some of the new techniques and trends inbound marketing has to offer, to keep your strategy fresh and your audience engaged! In 2012, we saw infographics go from being a cute way to represent information to becoming a fully-fledge meme unto themselves. They’re easily sharable and can communicate catchy ideas quickly and simply. However, don’t get too caught up in the hype – while infographics can go viral, they don’t have anything on video. Just consider that a single platform -Youtube, receives over 4 billion views per day, and you get an idea of the size of the online video market. The fact that video can be shared and viewed easily across devices – from desktops to tablets and mobiles – makes it a critical marketing tool and the most efficient way to try to score a viral hit. For example, the viral advertising hit of the year ‘Dumb Ways to Die’ was produced in Australia for the cost of a medium-sized TV commercial, yet generated an estimated $50,000,000 worth of global media value. You may not have the budget to produce a fully-fledged live action piece, but a new trend brings sharable video budgets down to earth – enter video infographics, a way to repurpose your infographics and bring them to life by animating them. Add that into your toolkit, put on your creative hat and you may very well be the next one to go viral on a budget! With automation technology continually improving, tailoring communication to individual customers is becoming easier every single day. Don’t just stick to plugging a customer’s name into an autoresponder – think outside the box and utilize all of the channels you have available to you. If you’re reading an article about Inbound Marketing then you don’t need to be told that you should be using Twitter, Facebook, Google+ and potentially Pinterest and Instagram to engage with your customers personally, but it’s always worth noting that these channels can be used to answer questions, provide support and follow-ups, as well as to provide additional value to existing customers, such as add-on packs, upgrade offers and ebooks / white-papers. Drip-feeding content via these channels is a great way to prep your customer base for an upcoming release, and can also help new customers familiarize themselves with your brand character. Expect these channels to become an even bigger part of web marketing strategies this year, and make sure you squeeze as much you utility as you can out of each one. The previous point leads into this one – inbound marketing isn’t just about drawing first time customers into your sales funnel! The goal is to minimize churn and share a relationship with a customer that enables both sides to exchange value over an extended period of time, so you should place just as much focus on your retention strategy as you do on your acquisition strategy. No-one wants to be taken in by a flashy online campaign only to realize that the company behind it doesn’t value the customers it has – so put in the extra effort to create content that rewards them for their loyalty. They’ll respond with word-of-mouth recommendations, and you’ll continue to benefit for years to come. Watch how the big players roll out their retention strategies across all of their channels this year and take a few plays from their book. With sites like Behance and Dribble growing strong design communities, and plenty of sites dedicated to featuring the best design on the net, customers not only like to spend their time on sites that look great – they expect to. You can even turn your website’s design into a promotional strategy in itself – by creating something that gets people talking. Make your site responsive, customizable, visually unique, and you’ll find that people share it of their own account. It’s no longer acceptable to have another ‘me-too’ web-site, unless your content is the best in its niche. Even then, expect certain platforms to take the lead (and generate leads!) purely on the basis of their visual design. It’s worth the extra effort. Finally, the most important thing to remember is that no matter which trends and techniques you employ, your inbound marketing strategy needs to be laser-focused; each and every element should support the next. This is not so much a trend as a necessity. To use Social Media as an example: your Facebook communications should be linked in with your Twitter or Instagram, and your website should be directing people to these platforms and vice-versa. Offer specific pieces of content via one channel this week, and then offer your audience the opportunity to share their thoughts on another channel in exchange for even more content. Each section needs to be interconnected and supportive of the next, and you need to embrace a ‘campaign’ approach. It’s the right time of the year to plan in 3-month quarters, which gives you enough time to let a particular strategy play out and provide enough data to inform the next quarter. Inbound marketing may be cheaper than traditional channels, but it’s up to you to put in the effort needed to reap the rewards! How have you employed inbound-marketing over the past year? Which of the above trends do you plan to add in to your mix? Let us know your thoughts in the comments section and share your tips for 2013! Jacob E. Dawson is an entrepreneur and inbound-marketing consultant with a passion for creating value! He works with Delivery Hero. Follow Jacob on twitter @jacobedawson and on Google+. Your comment that video is still boss I feel would benefit from some additional statements. Inbound marketing is based on organic search (hence the Inbound) and video itself is not searchable per se. The video soundtrack is what searchable as Google easily transcribes speech to text. However if your video has background noise the causes the speech to text conversion to work poorly, it hampers your results. Having said that video is a critically important part of conversion, as when people see something in action (no matter what it is) they can better picture themselves having it, doing it, etc. That’s great that your clients come back to you. I have clients that I have worked with for years also. Many of them have referred other clients too which I really appreciate it. Thanks for taking the time to comment on Jacob’s guest post. I appreciate that you’ve taken the time to join the conversation. 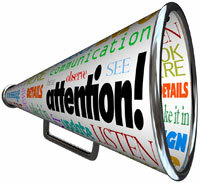 Hi Jacob, the topic was a much needed one, as marketing trends never go out of trend, they are always on the go. I would agree with you that Infographics was a very cute invention but sadly didn’t get much recognition owing to its accessibility. Hopefully video Infographics would get its due. I’m still a big fan of infographics but from reading the comments on my blog, I feel that I’m in the minority. It will be interesting to see if video infographics become more popular. We’ll have to wait and see. Thanks for your feedback! I think that video infographics will make a nice partner to infographics – and I still think that infographics are here to stay! This is a very informative and well written post about inbound marketing trends. Retaining clients is also important. While you continue to make new clients, it is good to retain most. How you treat your clients and communicate with them is a very important thing that should be greatly considered when marketing. Thanks for letting me know that you found Jacob’s guest post informative. I appreciated the fact that he included personalization and customer retention as inbound marketing tactics. 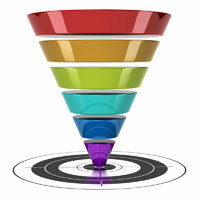 Good article about the latest inbound marketing trends. Let’s see how they evolve in 2013. Great post. I believe that many businesses forget that retaining clients is marketing also. You don’t stop after you have made the sale. Sorry I missed your comment on Jacob’s post about inbound marketing. I agree with you that his point about retaining clients being a marketing technique is an important one to keep in mind. Thanks for taking the time to weigh in on this topic. I’ve learned a lot about blogs and social media in the last year, but aside from being a guru at adding plug-ins to my WordPress site, I’ve yet to be brave enough to try to make the design of my blog be more unique and interactive. I can see it in my mind’s eye, but lack the know-how to get it there. Alas, I guess that’s why we always keep learning and growing. In the time that I’ve known you, I’ve seen you really grow as a blogger and you’re definitely someone who I recognize. So, you’re making great strides as far as building awareness and connecting with people. I think the biggest thing that’s missing on your site is a way to follow you on your blog post pages. I also think your sidebar displays too low on your home page. I know that I mentioned a plugin (in a reply to another comment from you) that might help you tweak your theme but you might also want to consider switching to another theme that’s easier to tweak. I agree that a blogs design has a lot to do with it’s appeal. Not saying that your design should be plain and boring. Your design should show your personality but at the same not be confusing. I hate when I go to blogs and have no idea what it’s about and how to find the info I’m looking. That’s a quick way to loose a ton of visitors and potential customers. Thanks for sharing your insights. Glad to have found your post on BizSugar.com. Absolutely – an easy-to-use interface is essential, and if you add something really noteworthy on top of that you’ve got a winner. Thanks for letting me know that you liked Jacob’s post and that you found it on BizSugar. (That’s always great info.) I really like BizSugar. Not only do I get traffic from it but I’ve also become friends with many of the bloggers who participate there. I know exactly what you mean about websites where you have to look around to figure out why you’re there. I think often it’s a case where the site was designed to fit the owner’s needs and likes and not those of their potential customers and clients. That’s why usability testing is so important. I will admit I am an idiot when it comes to all this I amonly just trying to enhance social media and you tube as marketing tools and am only just coming to grips with what I am missing out on. The main reason probably is I haven’t known much about these resources so,have been putting them off and sticking to what I know that strategy doesn’t get you success though. So time to embrace everything new. Hi Lee – I think it’s really important to stay up to date with new trends on the web and with marketing, and with all of these great (and free!) resources out there it’s the perfect time to get started! In my reply to Susan, I admitted that I haven’t tapped into video as much as I should either. I had intended to incorporate video last year and I still haven’t tackled it. Today, after watching a video about screen capture software, I realized that I’ve been approaching it from the wrong angle. I’ve been thinking that it would involve me in front of the camera lens when actually, recording video of my computer screen would work extremely well for me. We’ll both get there! The key is to keep moving forward and to be open to new ideas. As a website design company one of the above strategies you mention is one that we have been working hard on for over a year and that is to create a visually unique and responsive website as we completely value the importance of this. The other strategy we are working hard on is to really develop our blogs into ones that people will love to read..ones that stand out from the crowd. I also totally agree with what you say about customer retention. That is something we are always working hard on by constantly developing ways to enhance our customer service. Thanks for weighing in on Jake’s post. I have to admit, even though I recognize the importance of good website design, until I read Jake’s article, I had not thought of it as being part of an inbound marketing strategy. Design really is key to keeping our potential customers on our sites. I have been seriously considering all that you’ve written about. It all gets down to time, energy and resources. I decide to take it a piece at at time, get good at it and then move on the another piece of the puzzle. I get that about infographics and video. Video is here to stay and one I am working to embrace. Thanks for the thoughtful post. Thanks for weighing in on Jake’s post about inbound marketing trends. I think you’re smart to focus on one technique (or two) at a time and not trying to learn everything at once.